In the next few weeks, Paris’s yoga community will be dressing up in sparkles and twinkling lights to usher in a season of sharing and celebration. From tea with fellow yogis, to anniversary parties, to practicing for the benefit of children far away, Paris’s unique yoga gifts will shine brighter than usual. Take that, Tour Eiffel! Celebrate Big Apple Yoga’s one year anniversary! Since opening the studio last November, the studio’s schedule has grown, its student community has multiplied, and Janelle and her team of dedicated yogis have hosted 5 international teachers who have led inspiring workshops and master classes. Keep the momentum going by bringing your energy to the studio and powering another successful year. A Christmas practice by Mysore Yoga Paris for the children of Mysore, India! At the heart of yoga lies seva or service, and this celebration makes that a reality by donating 100% of what you contribute to Operation Shanti. Stay after Kia’s class for a Winter brunch -- bring something to share -- and buy gifts at Le Yoga Shop Paris’s pop-up store. Please RSVP to lise@mysoreyogaparis.com. Cash ONLY. On the menu for this party at L’Espace Bikram Paris is a practice at 18h45 followed by tastings and other surprises! To participate, make sure you reserve as space is limited. 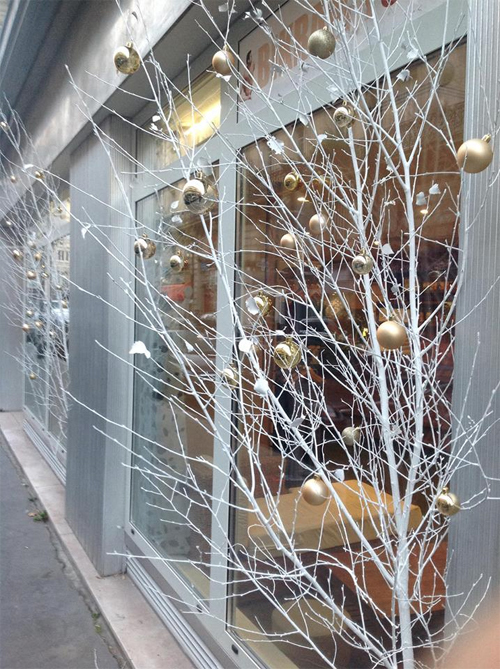 Share your Christmas wishes and a cup of tea with Ashtanga Yoga Paris! This year, Linda and Gérald are keeping the home fires burning with five days of workshops at the studio, however you don’t need to be registered for any of the workshops to stop by and enjoy holiday cheer at this fête. Begin the new year with positive affirmations, the support of friends, family and the yoga community! Bring something to drink or a galette des rois, and toast 2014 among friendly yogis at Ashtanga Yoga Paris.